There’s really that many Ss in assessment? who does it think it is, mississippi? Now that Fall has officially ended (this happens whens nj transit decides to just give up on us all and my puffy jacket causes an uncomfortably squished train ride)… let’s go over the good, bad, and the ugly of this seasons fresh comedic attempts. 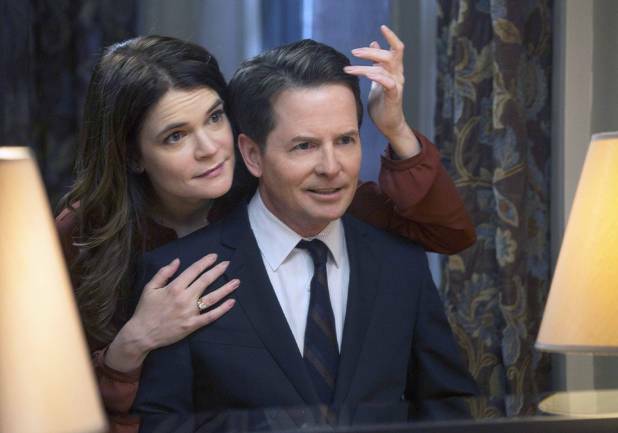 Michael J Fox Show = Straight up, not funny. The previews/commercials broadcasted the only funny moments. The family interactions are simply not believable. I’m not sure whether this is due to the acting or the writing. His wife in the showisn’t believable enough to me and I don’t feel a real chemistry in their marriage and that’s distracting. MJF, just give the people what they want, and what they want is a Back to the Future IV. The Crazy Ones = FUNNY. Its evident that the director allows Robin Williams to add-lib and do whatever the f*ck he wants. And thank God for that. Amen. The other characters also stand out and aren’t hidden in his shadow which is very impressive. Way to go CBS, you may have another 9 season comedy program on your hands. New Girl – Attention World: Watch New Girl. This is hands down one of the best comedies on television right now. Every character has truly come into their own, both unique & hilarious. Schmit is brilliant. Seriously, start watching this show, because it has the LOLfactor. You will literally LOL. How many shows truly make you laugh out loud these days? New Girl does this. How I Met Your Mother – UGH. This gives me a sharp pain right to the heart. Don’t bother watching this first half of the season… Just start in the Spring. Every episode is a mildly funny filler. I’m not sure why they don’t do more flashbacks, to scenes the mother may have secretly been in. UGH. Just stay strong, it will get better, I promise! I just keep telling myself: when Ted meets the mother it will all be worth it. Saturday Night Live – wow. For all of you snl haters these days, you can shut your mouth this season. The cast is made up of all fresh faces…and the new future of comedy. The skits/writing is different and original compared to the past couple years. I’m so proud and can’t wait to see the new cast member’s talent noticed. Too sappy? The Mindy Project – Has truly come into its own. They have grown out of their early stage blues, and now they know who they are. Very funny. Love the characters. Love the story lines Love the jokes. At first I made the mistake to assume that Mindy would annoy me, but she comes across as a funny/intelligent girl…who’s just a little psycho…but aren’t we all? Parks and Rec – keep doing you. Modern Family – Do I even need to say anything? I don’t believe words are needed. Hilarious and will always be hilarious. Some say it feels redundant…but those people are crazy. This is truly one of the funniest shows on television and I am ecstatic that it is now syndicated on USA. woo! Mom and Dads Big surprise there! no pics for you. Breaking Bad – This Fall brought the end to an era. The final episodes to arguably one of the best written television shows, ever. And we can all agree, the end was perfect. And thats all I have to say about that.